Chicago police have identified the alleged robbery offender that police pulled from a Red Line train at the Belmont station on Thursday afternoon. Xavier Lyons, 18, of the Grand Boulevard neighborhood is charged with felony armed robbery and misdemeanor possession of a pellet gun, according to a press release by CPD’s Office of News Affairs. Just before 3 p.m. yesterday, a 27-year-old woman told police that an armed man approached her in the 3100 block of North Kenmore and demanded her phone at gunpoint. The woman did not turn over her phone, police said, but the man did get the victim’s debit card. “As the doors closed, one of the officers literally pulled open the doors. They reached in and they pulled the offender out," 19th District (Town Hall) Cmdr. Marc Buslik said at a press conference. Lyons is due in bond court this afternoon. 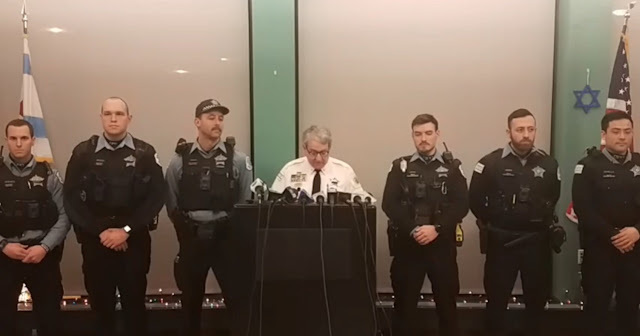 Police records show that Lyons was arrested in the Loop on December 19th and charged with having a weapon on the CTA. He was released on a recognizance bond in that case.